How Will Aiddocs Help Me? Choose your role and get an in-depth look of Aiddocs in your workflow. Edit documents in one place and instantly apply changes across the whole organization. Use all the features of Word to improve the design of your documents. Jump start your document creation with Aiddocs. Save time, effort and money. Automate document creation with an efficient workflow and clear roles. Manage thousands of customer-facing documents centrally and with consistent branding. Get the job done with less effort. Aiddocs is built on common standards and simple APIs. Create documents in any application through simple requests from Aiddoc’s external document assembly server. Your business applications (CRM, ERP etc.) and services (mobile, web) request Aiddocs for new documents. The XML in the request contains all the needed document specific data. Aiddocs generates documents dynamically from your template library. Your application receives the ready-to-use document in the file format and language of your choice. Does your company create a lot of documents – agreements, statements, forms, reports? Aiddocs makes it a breeze. It generates documents – however complex – for all your business applications. As documents are created dynamically from a template library, every document is always up-to-date in content, brand and style. Use Microsoft Word and Excel to edit content and design of your templates – nothing new to learn. Aiddocs supports all the common document formats: Pdf/A, Docx, Xlsx. 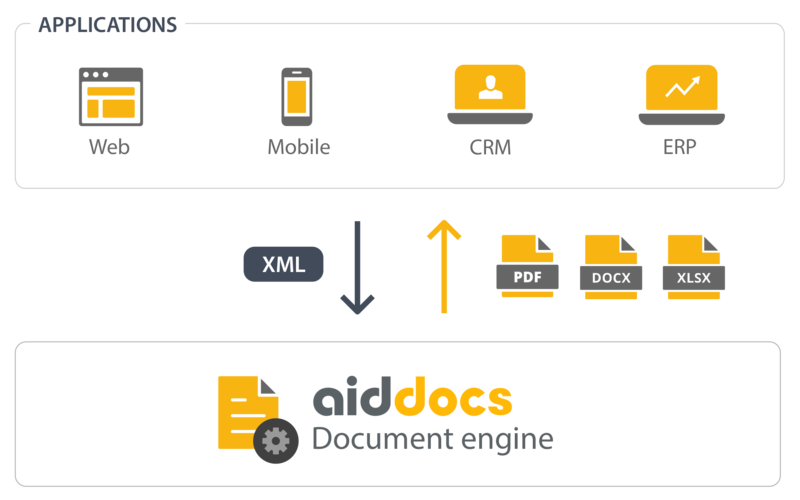 Aiddocs’ powerful features enable handling of multiple brands / organizations, multilingual templates, and simplify archiving with metadata. Aiddocs saves you time, effort and money. If you’re a big organization with high document volumes, Aiddocs easily works with your existing business systems and scales with your needs. If your needs are less demanding, we have a low-cost cloud plan with the main business benefits. Aiddocs’ powerful features at a glance. Organize document production efficiently with clear roles between content experts and developers. Get your content updates quicker to production. No sotfware installations, no downtime. Keep your terms, contact info and logos always up-to-date. Save money, time and effort through better organizing of work and quicker publishing process. Create quality documents with our awesome design templates. Automate archiving and other document processes by using metadata. Manage large template libraries for any number of organizational units. Edit complex dynamic documents with ease. Focus on content and let Aiddocs take care of the processes in the background. Aiddocs works flexibly with other services you may have. It is designed with SOA standards and open, clean interfaces. Your business apps don’t need functionality for document generation any more, while Aiddocs takes care of it. Developers have less work related to documents. Integrating apps to Aiddocs is easy too. Migrations between systems is easier, as document production is a common service for both the old and new systems. 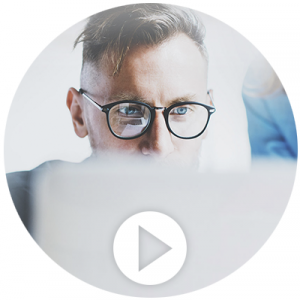 See how our clients succeed with Aiddocs. Serving several bank groups with their banking systems, Samlink needed a robust solution for document production. With Aiddocs technology they can now not only produce thousands of banking documents every day, but also fluently manage the several hundred templates for each of their customer brands. More than 100 titles of Rakennustieto’s technical documents, 10+ pages each – have been traditionally assembled as a manual work. Aiddocs helped to automate the laborous manual layoutwork and speed up the process considerably. Legacy client-server ERP faced compatibility problems during Office 365 tests due to using the proprietary binary doc document format. Aiddocs provided an economic way to replace deprecated technologies and to open up new possibilities in document processes. Thanks to Aiddocs Rakennustieto can generate all their complex Ratu documents in fraction of a time compared to the old way involving a lot of manual work.